Our Flying Cloud: We're in Fort Desoto! It's our last trip of the year. We are planning to spend the holidays at River Ranch, and our next trip is Alumaflamingo in February. 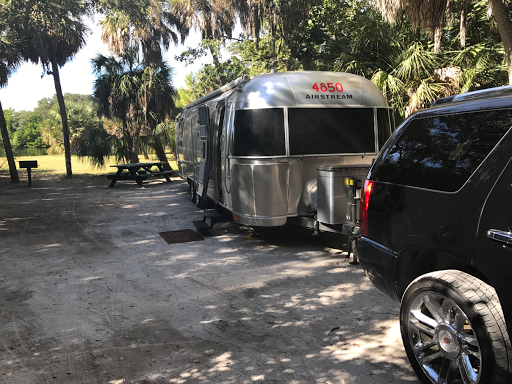 Fort Desoto is under 3 hours from River Ranch. It's good to take out the trailer once in a while to practice hitching and towing. We really like Fort Desoto a lot. Not as much ax River Ranch, but it's easily our second favorite.